San Francisco Fire officials said in a tweet: "Avoid the area, swim at your own risk at Aquatic Park"
The Golden Gate National Park Service has closed San Francisco’s Aquatic Park to swimming until Monday after two attacks by sea lions in as many days. 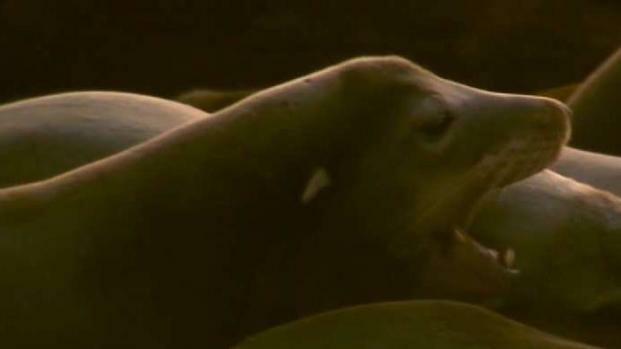 Fire officials told the public to avoid the area Friday after a second sea lion reportedly attacked a swimmer in the park's waters. Swimmers are forbidden from entering the water at least through Monday "due to multiple marine animal bites," a sign at the scene read. Multiple public safety agencies are working together with the NPS - the lead agency - on a safety plan, SFFD said. Fire officials tweeted around 9 a.m. Friday that a 60-year-old man was taken to a trauma center after reportedly being bitten by a sea lion on his arm. 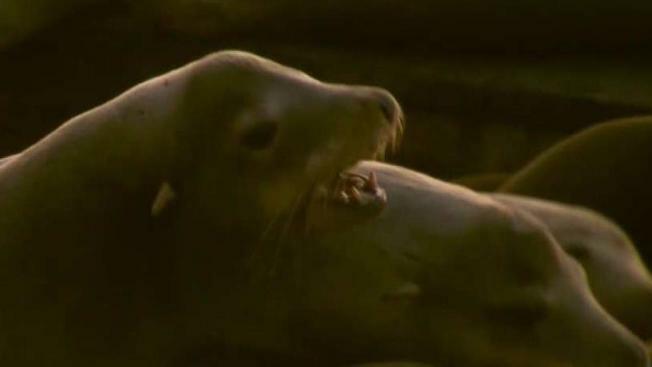 The San Francisco Fire Department said Thursday they had to rescue a swimmer from the water after he was reportedly bitten by a sea lion. Sam Brock reports. SFFD said in a tweet: "Avoid the area, swim at your own risk at Aquatic Park." The attack took place at 8:13 a.m. Fire crews were called to 500 Jefferson street where they took care of the victim's injuries. He was then transported to a hospital. Fire officials said that city agencies were working together to mitigate the incident. This was the second sea lion attack in as many days. On Thursday, police said a 56-year-old man was charged by a sea lion. After frantic efforts to splash and distract the animal, the man was bitten on the arm. People onboard a nearby sailboat saw the attack and rescued the man, taking him on their boat and calling the United States Coast Guard. The San Francisco Fire Department also responded to the attack and took the victim to Pier 45 to be treated by paramedics. A San Francisco police officer also applied a tourniquet. The swimmer has a "severe extremity injury" that required immediate medical attention. The man was taken to the trauma center at San Francisco General Hospital, where his vital signs were reported as stable. Dave Schreibman was swimming in the bay during the attack. "I saw a sailboat with a wounded swimmer on it," he said. "They were waving at me and screaming at me to not go out there. The wounded swimmer had deep puncture wounds in his upper arm, and there was blood running down. There was a Coast Guard there, too." Michael Reiter, of the SFPD marine unit, was the officer who applied the tourniquet. "I mean, the boat saved his life," Reiter said. "If the boat hadn’t been there, who knows what would have happened They had rented the boat for the day, I believe, and they were on their way back when they saw this." Some swimmers said they’ve had their run-ins with sea lions. Arnie Thompson, a Dolphin Club member recalled being charged by a sea lion. "And, of course, I swam across the top of the water like you wouldn’t believe," he said. Sergei Khorochev added: "It’s happened like a few times over the past few days. One guy on the sound told us that he was swimming, and he got bumped like five times by the sea lion, right here in the cove."